The Mini-Reel System is used on operations subsea where hydraulic operations or pumping of fluids are required. 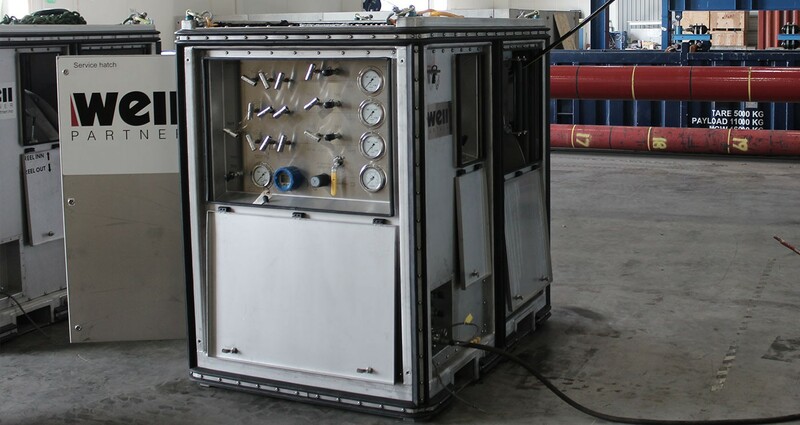 Typical applications are locking/unlocking of subsea connectors, operating subsea tooling, pumping of MEG / corrosion inhibitor and acid cleaning of wellheads. The mini-reel is a compact design allowing for easy handling and placement in limited space areas on any offshore vessel. The mini-reel has integrated HPU and HP swivel system allowing running the control lines pressurized (limited to 50bar). All reels may be powered by air or electricity (work in artic conditions).